People cried. And quite possibly that was the point. Opening up about suicide – whether you have lost a loved one, someone who survived an attempt, someone who has thought about it, a teacher, a counselor, a healthcare provider or anyone else who has somehow been touched by the idea finding a permanent solution to the temporary feelings of pain and worthlessness – the conversation is never easy. 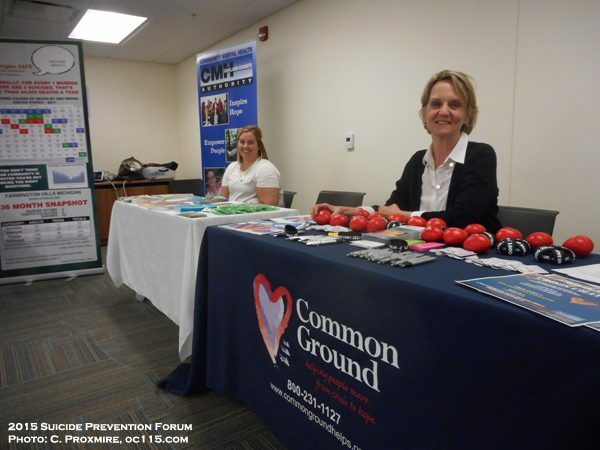 That’s why each year Oakland County hosts a suicide prevention forum to bring together organizations that do the work of saving people’s lives. 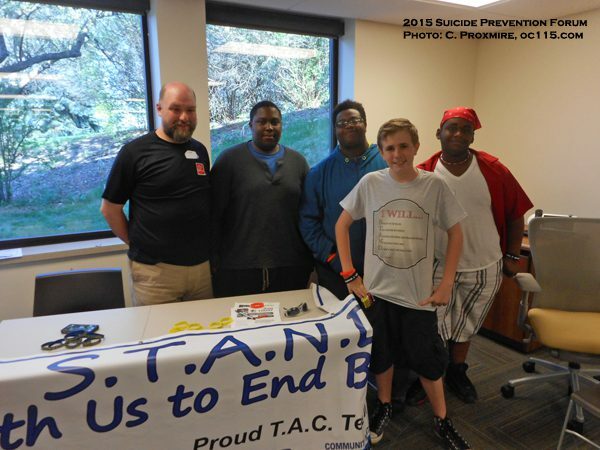 Among about a dozen organizations, all with the pamphlets and swag one might expect about the warning signs and where to turn for help, a brave group of students stood out in a fervently impactful way. Immanuel, Alana, Nicole, Triana, Devin and Kava of the Say Yes Mentor Group acted out the scenes that young people go through sometimes on a daily basis when they are bullied in school. Often these experiences are dismissed by adults as typical teenage behaviors, and the emotions of young people as typical teenage angst. But sitting in the audience uncomfortably as the scenes played out before their eyes, left many with a reminder of just how overwhelming such experiences can be. In the first scene, Triana was tutoring Devin in math. The exchange was innocent enough, but the clique of students behind them saw an opportunity to start some trouble. One of the girls set up a fake Twitter profile and spread rumors about Triana having a crush on Devin, then cornered Devin to ask him about it. The scene ended with Trina, sitting alone in her room with her sister inviting her to dinner and her sulking instead. She spoke about how since fifth grade other kids have hated her, and she wondered why every time she makes friends people try to take them away. The next scene featured Devin sitting in a chair and all the people in his world talking about how they feel about his reclusiveness. His mother blamed herself and spoke of having to take time off work to address his problems in class. His best friend felt cut off. His girlfriend doubted his feelings. His brother wondered why he had no interest in playing sports any more and his teacher felt she was letting him down. As they walked away he shared his feelings. He did not know why he felt bad. He hated letting each of them down. He felt like they would be better off if he were gone. And then, when he was, each person spoke of his death and the pain it left behind. The teens in Say Yes are performers and mentors. 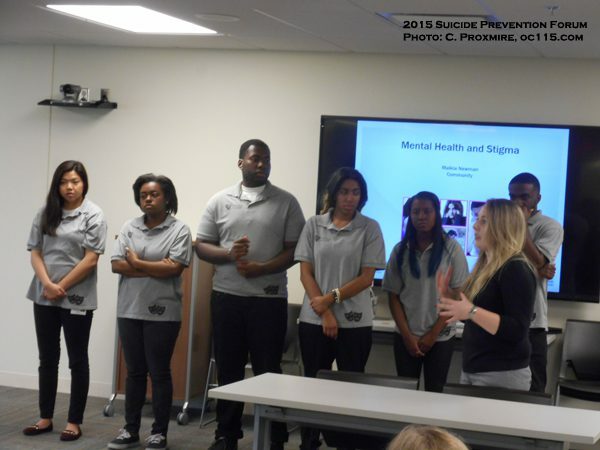 They are in high school or college, and have been touched personally by suicide. There is a three week live in program through Common Ground, and the Say Yes students help nurture the young people through their tough time. Common Ground offers many life-saving programs that focus on “helping people move from crisis to hope.” Their 24 hour crisis hotline number is 1-800-231-1127. They also offer texting and live chat options which are popular among teens who reach out for help. 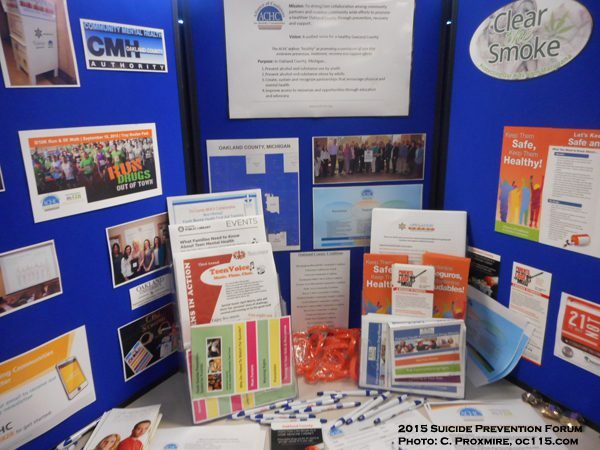 Community Network Services also offers help for mental health issues. 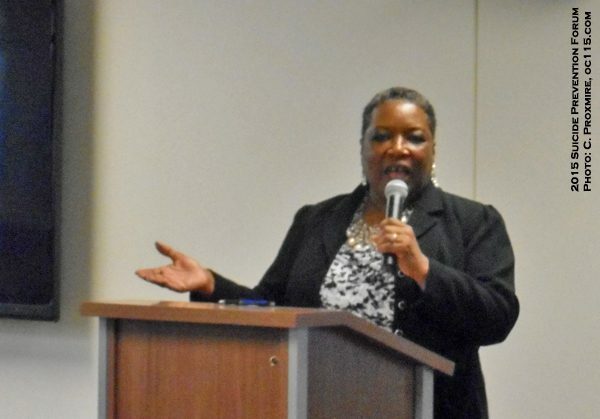 Stigma Educator, Malkia Newman, is particularly well-suited for the job, since she too knows what it is like to be in – and overcome- crisis herself. “I spent so many years battling suicidal thoughts myself,” Newman said. “I came to CMH in 2004 in crisis. Once I got stabilized my life took a drastic change. It was for the better. 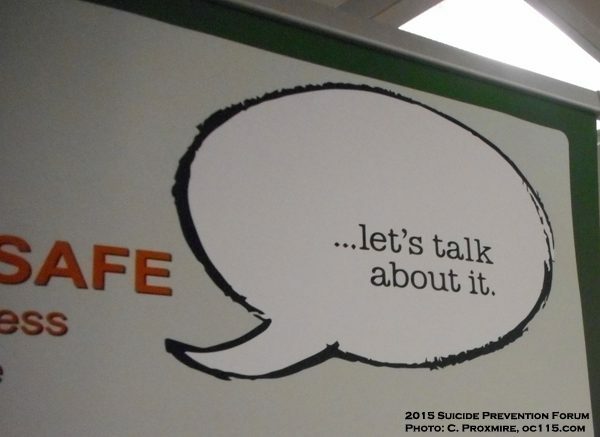 Focusing on stigma is a specific way to target reducing suicides. When people feel like mental health issues like depression or struggles coping are shameful or belittled, they are less likely to ask for help. Once a person in crisis gets their immediate safety addressed, they may seek counseling from any number of organizations. Dr. Michael G. MacDonald is an associate professor of Teacher Development and Educational Studies in the School of Education and Human Services at Oakland University. The school has a suicide prevention program called Grizzlies Response. But there’s more. “Our counseling center provides free counseling and you don’t even have to be a student. Anyone can come in and be seen by a supervised doctoral student,” MacDonald said. “We really want to get the word out about this so it can help as many people as possible.” There is counseling available for individuals, couples, families, children, career counseling and group counseling.